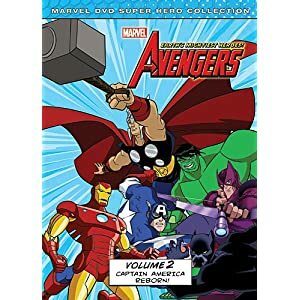 New Avengers animated episodes arrive on 5/15/05 | The Daily P.O.P. Captain America, Thor, Iron Man, Giant/Ant Man, the Wasp, Black Panther,the Hulk, Hawkeye and more unite to fight the varied and sundry forces of evil. 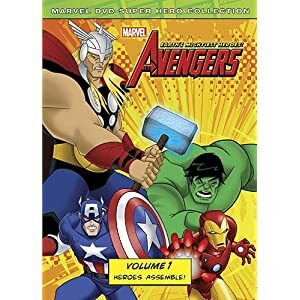 Avengers: Earth’s Mightiest Heroes enjoyed a magnificently successful opening series, Marvel Entertainment’s cartoon rendition of their greatest team continues. The first season featured some knock-out adventures, so expectations are high for year number two. 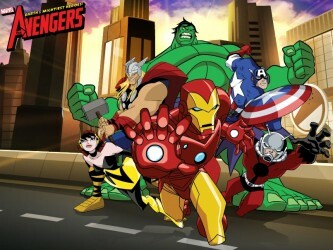 “The Avengers: Earth’s Mightiest Heroes!” returns to Disney XD this Sunday, May 15, at 10:00 a.m. ET with the first of seven all-new episodes! To celebrate the show’s return, we’ll bring you all-new previews of the series and behind-the-scenes looks at the series all week long! Keep it tuned to Marvel.com, and remember to watch an all-new episode of “The Avengers: Earth’s Mightiest Heroes!” this Sunday on Disney XD! Check out the likes of the Human Torch and Malekith as well as your favorite Avengers, and get ready for our heroes’ coldest adventure yet in “The Casket of Ancient Winters”! On the hottest day of the year, an ancient artifact is found…and a cold wind blows. An ancient Asgardian relic called the Casket of Ancient Winters has been opened, and the entire planet goes into a deep freeze. But as the rest of the Avengers deal with an invasion of Dark Elves and demons, Iron Man and Thor must put aside their differences to battle Malekith the Accursed. This Post was posted in Avengers: Earth's Mightiest Heroes and tagged hulk iron man captain america thor avengers marvel comi. Bookmark the permalink. I have been enjoying this series but I still don’t understand why Marvel cancelled both Wolverine & The X-Men and Iron Man. It makes no sense to me at all! Both were solid entries in showing the Marvel universe to the wider audience.